New Printable Coupons on Coupons.com 2/24 | A Savings WOW! 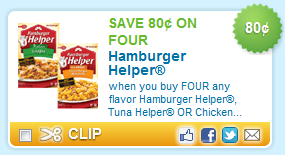 Following are some HOT new printable coupons! As with any printable coupons, you will want to print them out now, in case they run out of prints. Especially with the end of the month next week, some coupons are refreshed at the beginning of the month. Find more printable coupons in our Coupon Database.